Looks like something out of South Park, the one spoofing Barbra Streinsand. I haven’t seen that one! We will be posting more of retrowhale’s work. 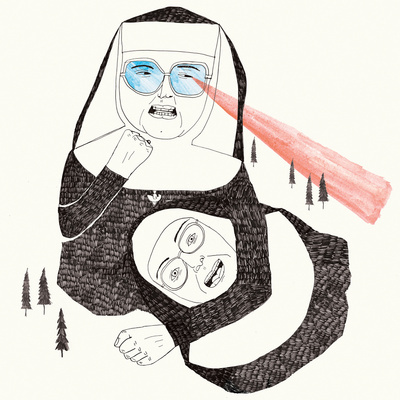 All of her illustrations are the perfect combination of creepy and hilarious.